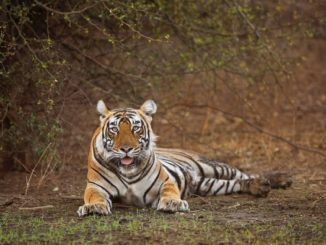 India, the only country in the world to have all the three prime members of big cat family, The Lion, The Tiger, and the Leopard makes India one of the major attraction for the wildlife lover across the globe. 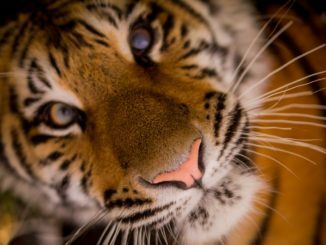 This blog article is concentrating to give more specific information about all the top big cats’ species. Below is the big cats’ list you may find in India Jungles. With the only country in the world to have Asiatic Lions in their natural habitat, India is the proud host of this species of Big Cats. The biological name of a lion is Panthera Leo. There are only two species of Lions in the existence now, i.e. The African lion and The Asiatic lion. 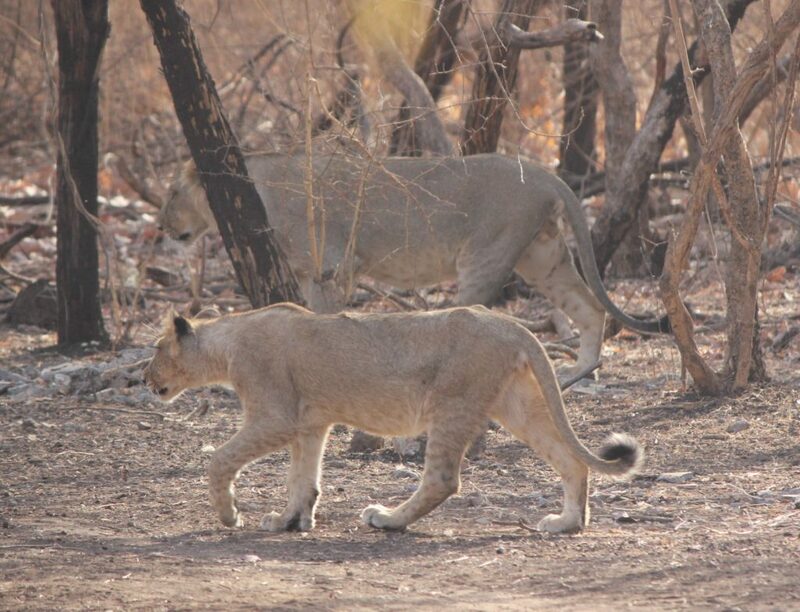 Forest of GIR is the only remaining habitat of this wonderful creature and it was not possible without the help of local people and forest official that GIR has now more than 500 Asiatic lions as compared to only 18 Lions in 1893. Lions generally live in a pride ranging from 8 to 30 lions. Mostly female member of the pride hunt and satisfy the hunger of cubs and male lions of the pride. An adult male weighs somewhere around 180 Kg as compare to 130 Kg adult female member of this big cat family. Lions have been observed to mate around October – November and their gestation period is around 120 days. 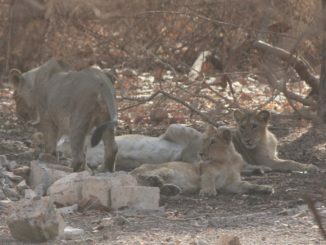 Once the cubs are born, the responsibility of the male lions is to protest the pride from threats and other male lions. 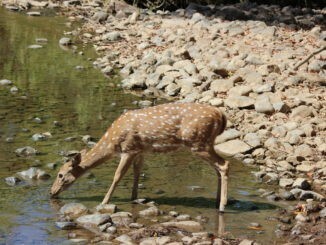 VIsit GIR forest to see this wonderful animal living in their natural habitat. 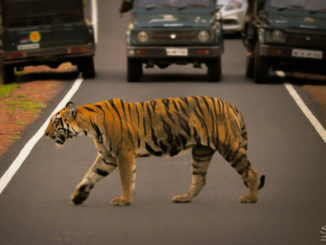 The Tiger or The Royal Bengal Tiger as it is commonly known across the world usually found throughout India. 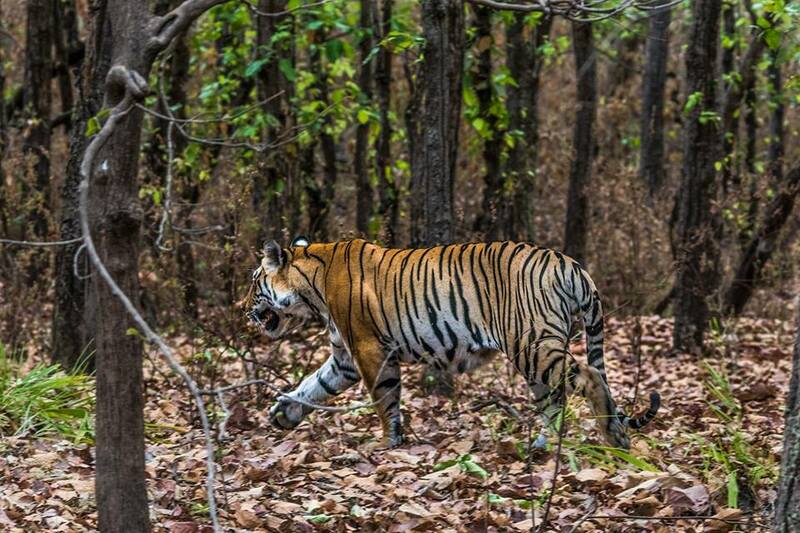 Unlike Lions, Tiger generally likes the dense forest and kills and hunts alone. The biological name of Tiger is Panthera Tigris. 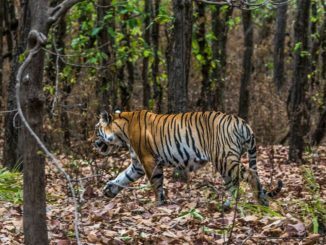 Tiger usually adapts themselves to the climatic change easily and it is the most important reason they are found even in the foothills of Himalayas along with the other part of the country. 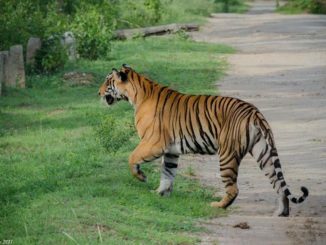 Himalayan tigers are usually large in size then the tigers found in central and southern India. Generally, tigers have light yellow to orange coat with the strips ranging from light brown to dark in color. The average weight of a male tiger is approx 265 KG where the average weight of female tigers is 140-165 kg. 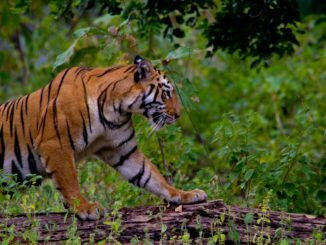 This striped cat generally has an average lifespan of 20-25 years and during their lifespan, they may travel many 100 kilometres within the forest corridors and can give birth to 2 -3 cubs. 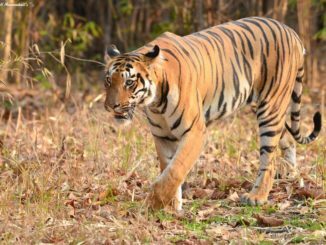 It is also the national animal of India and ranks among the biggest wild cats alive today, another reason this animal being so charismatic megafauna of the world. The biological name of Leopard is Panthera Pardus, Leopard are found throughout the country. 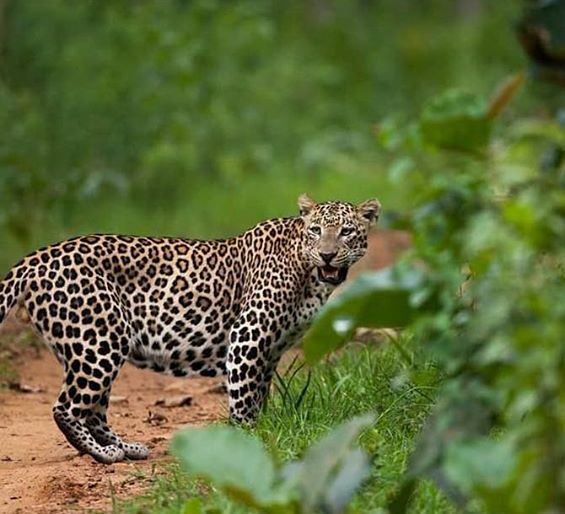 In total there are 7910 leopards as per the census of 2014 and a total of 12000 speculated leopard, Of which the state of Madhya Pradesh host a maximum number of approx 1800 leopard in India. Karnataka and Maharashtra are next in queue. Compared to the other member of the big cat family, Leopard has relatively small legs and an adult male can weigh up to 60 Kg and a female can weigh up to 38-40 kg. The average lifespan of this creature is around 12-17 years. Leopard mates throughout the year. The gestation period of leopard are 85-90 days and a female leopard can give birth to 2-4 cubs together. 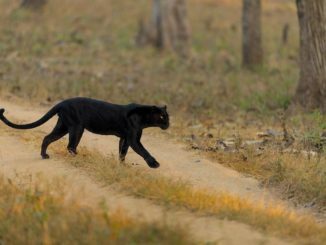 Black Panther’s body characteristics are just similar to that of Leopard, It is just their color turn black because of Melanism. 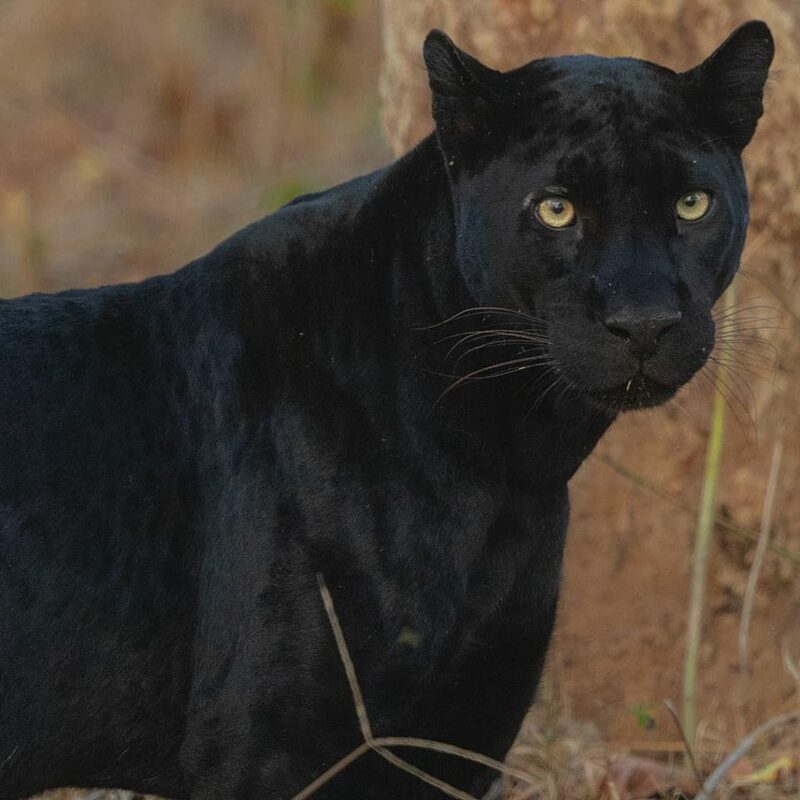 Black Panthers have very good eyesight and they are very fast. They have strong paws and sharp claws which they use in hunting mid sizes preys. Sitting on the verge of extension Snow Leopard is yet another beautiful creature found in India. Snow Leopard is found in the snow states of Jammu and Kashmir, Himachal Pradesh, Sikkim, and Arunachal Pradesh. 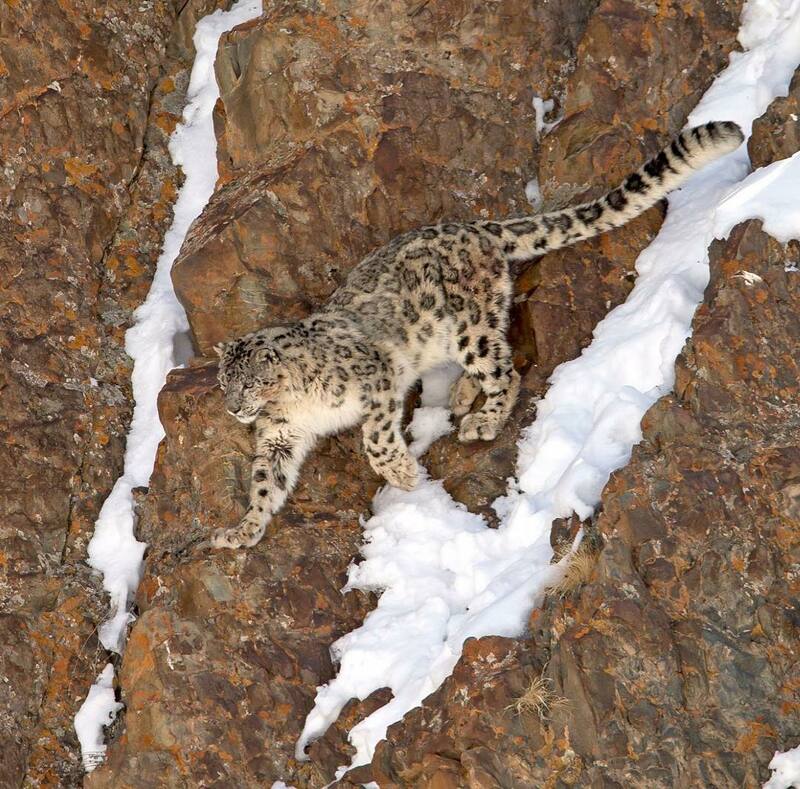 Snow leopard prefers rocky terrain and steep to stay which helps them to sneak up on their prey from a height. The snow leopard is smaller in size as compared to the other big cats and leopards. The standing height of snow leopard is approximately 2 ft and the average weight is between 35-55 kg. The biological name of Snow leopard is Panthera Uncia. With the blotched pattern on their body, Clouded leopard is another beauty of the big cat family available in India. The biological name is Neofelis Nebulosa. Mostly found resting on a tree during the daylight, Clouded Leopard hunts during night time only. The clouded leopard is nocturnal and their low density & highly dense habitat makes it difficult to count clouded leopard in their habitat. Characteristics wise Clouded Leopard are dark grey or ochreous in color with blotched patterns on their body. Usually small in size but carnivorous like the other big cat family members. A male can weigh up to 23 kg and a female can weigh around 16 kg. Also known as reed cat or swamp cat, A jungle cat inhabits places with adequate water and dense vegetation. Jungle cat can be found in both higher altitude and plains as well. They hunt throughout the day and small mammals, rodents and birds are its prey. Their sharp ears help them in pinpointing the prey. They height nearly 12-14 inches and range from 2 t0 16 kilograms. 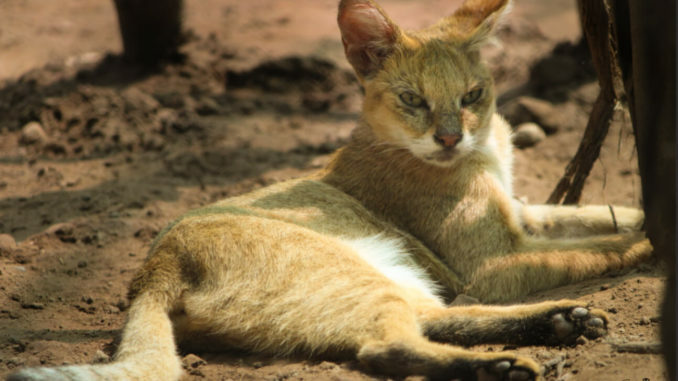 Jungle Cat become sexually mature when they are around a year old, their gestation period is two months and at a time they can give birth to two to three kitten. Not many of us have heard about this Cat, but The Golden Cat is beautiful in its own kind. 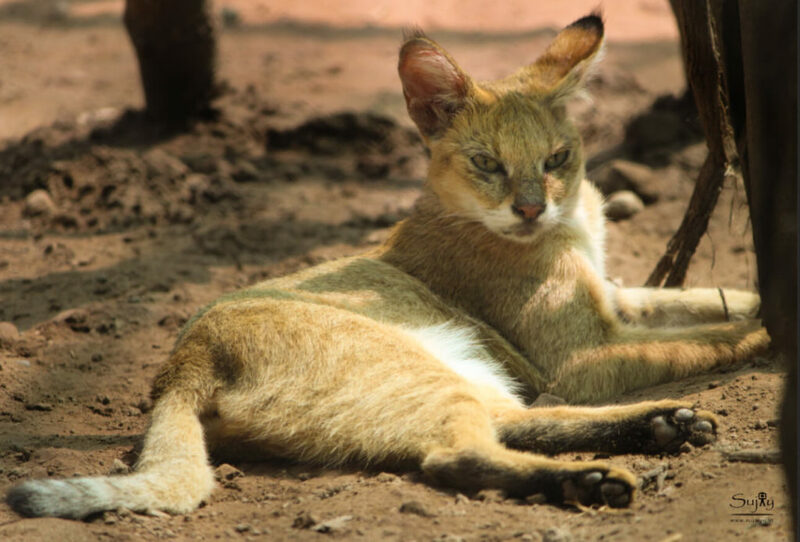 It is also referred to as ‘Asiatic Golden Cat’ or ‘Temminck’s Cat’; they have been kept hidden from the Human population, as they are being tagged as near endangered species. We don’t know much about the cat, but years of study has revealed some of the facts about The Golden Cat. 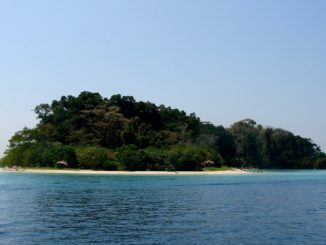 They like to live in a dense tropical area. Golden Cats climb trees very rarely. They are of the size as the domestic cat and lives on birds, rodents, and reptiles. You won’t find them in groups, they like to travel alone and just meet the other cats for mating purpose. They are being researched as both fierce and tranquil. They are of some shade of Golden with striped heads, spotted coats, striped or spotted backs. The Golden Cats are primarily Noctural, but still, avoid any hunting activities at night. Golden Cats are found in Asian countries like Nepal, Bhutan, India, Vietnam, Malaysia etc. Leopard Cat is also called as Prionailurus bengalensis, the cat is the size of the Domestic cat, with long legs. Its color varies according to the place. You can find the color ranges from pale tawny to yellow, red or grey above. At some places, they help the villagers to keep the rodents off. Leopard Cats are most active in Night, Dawn and Dusk. They prey mostly on Rats. Leopard Cats can weigh around 1.7-7kg. They live to close rivers, and also climb trees for any hunting. 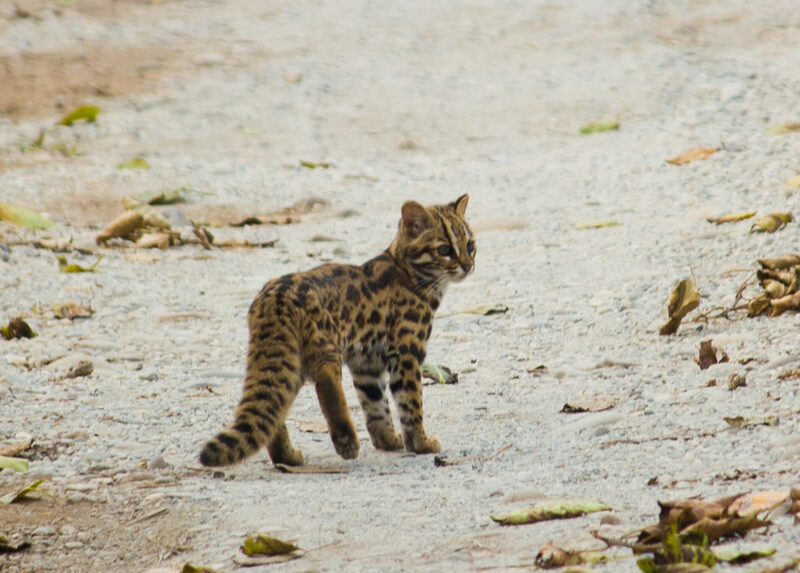 This is a small wild cat, which is found in Southeast Asia. It is also listed as near endangered species. With round ears and a very long tail, this cat is similar in size to domestic Cat. Its color varies from brownish-grey to ochreous brown above and greyish at below. 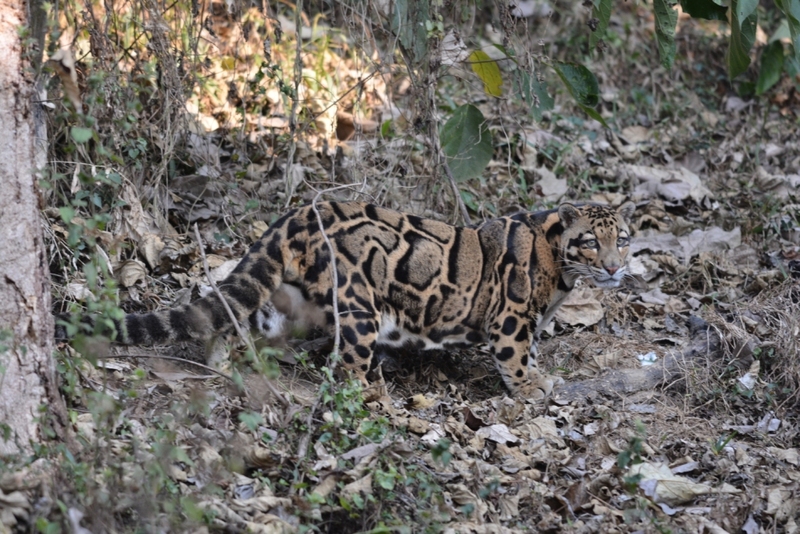 Marbled Cat is like a miniature version of the Clouded Leopard. It weighs around 9-18 pounds. Marbled Cats are found in tropical forests and mixed deciduous-evergreen forests. It depends on rats, birds, bats, and squirrels. Desert Cat is also known as the Sand cat and Felis margarita. It is found in the deserts of North Africa, the Middle East, and Central Asia. They are pale sandy to grey-brown coat. It has a broad head with large eyes and low-set ears. Desert Cats live foremost in True Deserts. Desert Cats eat small rodents, birds, spiders, insects, and reptiles. They are not found in the area of Compact soil, as the cats are found of burrowing and digging. They are wild and cannot be pet. Desert Cats are mainly solitary. The Lynx is found in the shrubs of Northan India. They are the medium sized cat with a short tail and usually, they have a bunch of hairs on the tip of their ears. They are fast runners and great climbers. 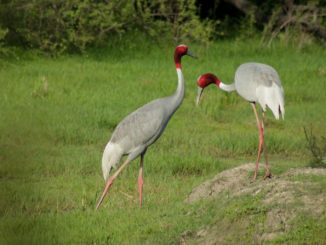 They are solitary, but sometimes can be seen hunting together. 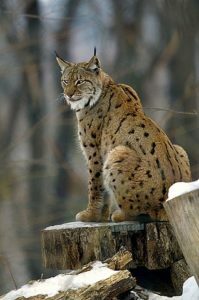 The Lynx are carnivores and hunt roe deer, musk deer, chamois etc. The Lynx Cat can live up to 10 to 15 years. With long legs, short face and long tufted ears this Wildcat is native to Africa, India, Middle East, and Central Asia. They are also called as Desert Lynx but have characteristics totally different from lynx. They are tawny-brown to brick-red, and black. 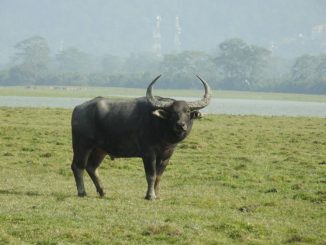 They live on rocky hills or grasslands. They are researched to have a lifespan of 12 years. They are mainly nocturnal and remain hidden in daylight. The Pallas Cat is also known as Manul, this small wildcat is found in Central Asia and Eurasia. Its shade ranges from silvery grey during the winter to a darker, red-toned during warmer months. There pupils contract into a small circle, unlike other cats which contract into vertical slits. Pallas Cats are great hunters and spend most of their time in hunting. They are not much of the friendly species and most are found in caves.